Key Biscayne is a village that lies south of Miami Beach and east of the city of Miami. The area is an island connected to Miami through a single highway and has a total area of 1.4 square miles. It is located just across from Biscayne Bay and Coral Gables. Key Biscayne is home to Crandon Park and some of the most beautiful beaches in the world. The area is popular with divers and treasure hunters because of its rich history and extraordinary coral reefs. 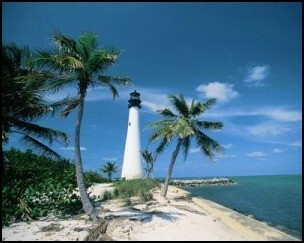 Key Biscayne is a very peaceful and serene location that is commonly overlooked. You can spend time biking, golfing, fishing, wind surfing, sailing, and much more. Key Biscayne hosts world class tennis events, is home to the Miami Seaquarium, Biscayne Nature Center, and more. Key Biscayne is known for its luxurious real estate. The east coast of Key Biscayne is dedicated to beautiful condos with resort style living offered year round. The west coast of the island has more single family homes ranging from moderately sized three bedrooms to mansions in some of the most sought after property. The island has a very friendly and fun atmosphere because of the many water related activities to engage in. Living on Key Biscayne feels like being on vacation all year round.